Previous studies suggest that Chinese topic structures, especially basegenerated structures, are difficult for L1 English L2 Chinese learners, and only at the very advanced stage do learners perform at the target-like level. 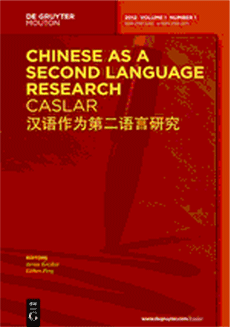 Yuan (1995) hypothesizes that non-advanced L2 learners may have difficulty adding a topic node to the subject-predicate structure and that they tend to interpret the topic as the subject. The present study tests this hypothesis and seeks to find out if structure building is accessible to L2 learners before they reach an advanced stage. A grammatical judgment experiment was conducted on several types of topic structures. Results show that lower-level subjects behaved on a par with native speakers on certain types of topic structures. This result suggests that L2 learners are able to build new structures at an early stage.